Free printable spelling activity worksheets for kids. Circle the correctly spelled word activities. 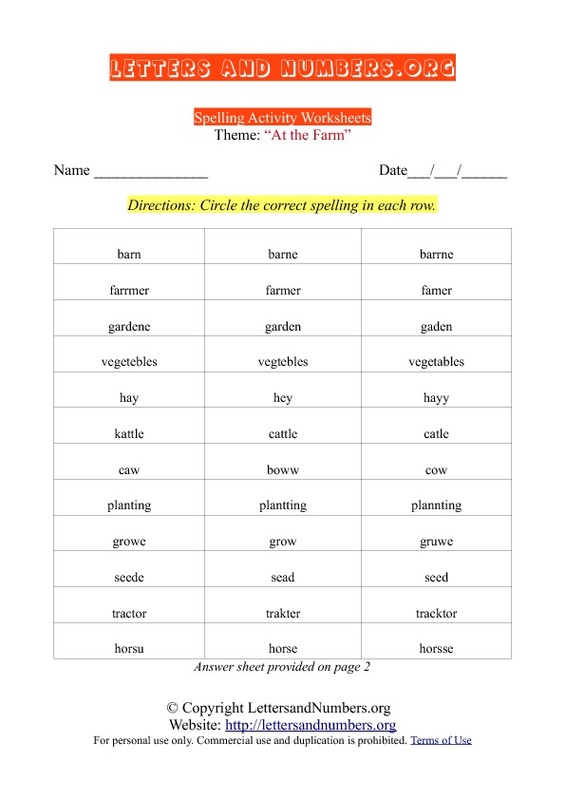 Download and print our free spelling worksheets. Fun letter activities for kids! 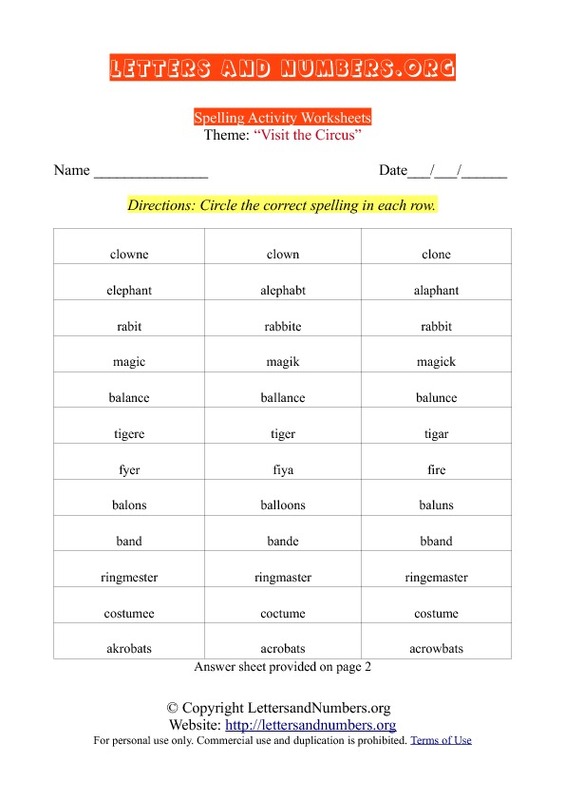 Learn to spell the words correctly with our free Circle the correctly spelled words spelling activities. Our worksheets come in printable PDF format created to print perfectly on an A4 size piece of printer paper. Each printable spelling worksheet contains 2 pages. Spelling worksheet and Answer sheet. Our answer sheets allow you to easily find the correctly spelled words for each row. Choose the Spelling activities you'd like to print. 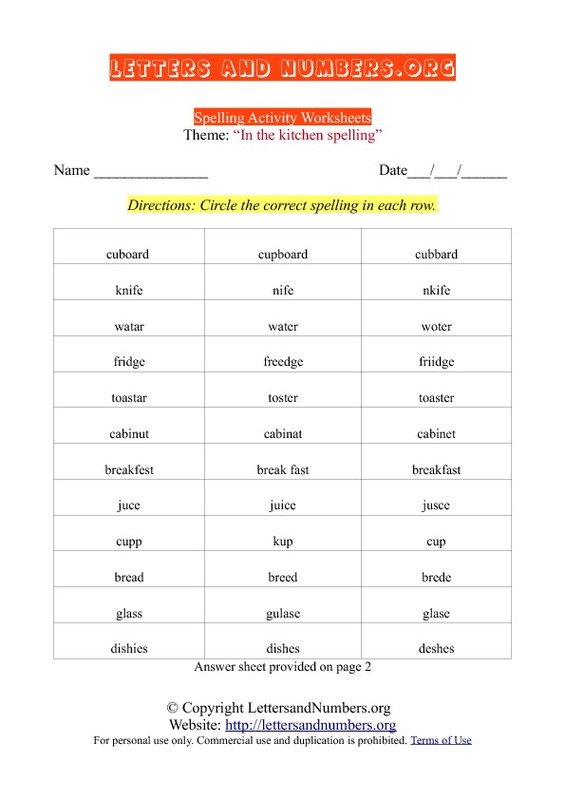 Click on the links below each worksheet to open up the PDF spelling worksheet. You can print or download the activity worksheet on the new page. Get your kids involved in fun letter and number activities. Spelling activities are a great way to pass the time and it helps your kids and students master word spelling.